Investors Capital Corp., a Cetera subsidiary, agreed to pay $1.1 million to settle Finra charges that it recommended unsuitable short-term trades in complex products to clients including steepener notes. Trident has agreed to pay a $50,000 fine. For more information, call 1-866-817-0201. 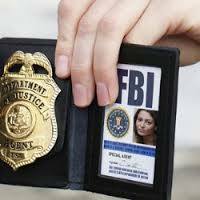 Initial consultation with an attorney is free and confidential. Jeffrey Pederson was recently quoted in Bloomberg concerning the sale of Steepener notes to retail investors. Letters are currently being sent to investors asking them to settle for a small amount of money. Investors should speak to an attorney before doing this action because the amount may be too small and the accepting of the settlement may waive rights for additional funds. Financial advisers are required to sell only suitable investments to their investors. A suitable investment is not only one that is consistent with the objectives and risk tolerance of an investor, but is also investments that are not so complex that the investor cannot appreciate the risk. 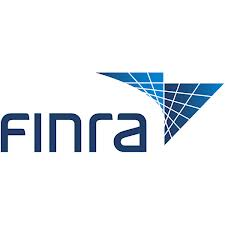 Finra’s complaint against Investors Capital revolved around recommendations for unsuitable investment trusts and steepener notes in the accounts of 74 clients. Two Investors Capital representatives recommended short-term unit investment trust transactions with upfront sales charges ranging from 250 to 350 basis points in the customers’ accounts, according to a Finra letter of acceptance released on Monday. Finra also charged that Investors Capital lacked adequate supervisory policies. Brokerage firms are required to have supervisory procedures to ensure the sale of only suitable investments. However, at Investors Capital the representatives’ behavior as to the recommendation of only suitable investments went unchecked from June 2010 to September 2015. The clients involved in unsuitable UIT trading lost more than $240,000, according to Finra. Finra notes that one 58-year-old client with a long-term growth account objective purchased and sold nearly 65 of the unit investment trusts, almost all of which had two-year maturity dates, in a 2.5 year period with an average holding period of three months. On at least 58 occasions, proceeds of the sale of one unit investment trust in this client’s account were used to purchase another, resulting in a loss of $50,728 in that client’s account. Between April 2011 and December 2012, FINRA alleges that Investors Capital representatives also recommended short-term trades of “steepener” notes, which are long-term bets on the shape of the yield curve, in an unsuitable manner. The recommendations led to 63 customers suffering about $126,000 in losses. Details of this settlement were described in the October 6, 2016 edition of Financial Adviser Magazine. Current economic conditions caused the value of hundreds of millions of dollars worth of debt held by Steepener investors — often held by retail investors — to evaporate. Holders of ‘‘steepener’’ securities are facing a bleak outlook. These structured products were issued in droves in recent years by Wall Street banks. Frequently marketed by brokers, they pay a high introductory fixed rate that switches to a floating coupon linked to the gap between short- and long-term U.S. interest rates. Jeffrey Pederson is a private attorney who represents investors in suits concerning securities brokers and securities brokerage firms. This entry was posted in Uncategorized and tagged arbitration, attorney, attorney representation, Cetera, class action, Colorado, FINRA, Florida, fraud, investigation, Investments, Investors Capital, lawyer, loss, New York, notes, Pennsylvania, regulatory, Securities, settlement, Steepener, Stockbroker fraud, structured notes, Summit Brokerage, Texas, UDF on October 6, 2016 by Jeff Pederson.